After all, where else on Earth can you go horseback riding, visit Star Wars filming locations, and even see boulders that mysteriously move on their own? For children with a sense of adventure, Death Valley National Park is a desert paradise. With all sorts of unique creatures and bizarre landforms (even a volcano), Death Valley is a place that’s guaranteed to inspire wonder. After all, where else on Earth can you go horseback riding, visit Star Wars filming locations, and even see boulders that mysteriously move on their own? 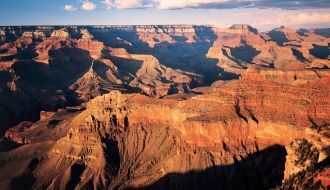 Here’s a quick list of 10 great family experiences to enjoy in the national park and at The Oasis at Death Valley. A close relative of root beer, sarsaparilla was a popular soft drink in the Old West. You’ll find sarsaparilla over at The Last Kind Words Saloon, the new restaurant in The Ranch at Death Valley. 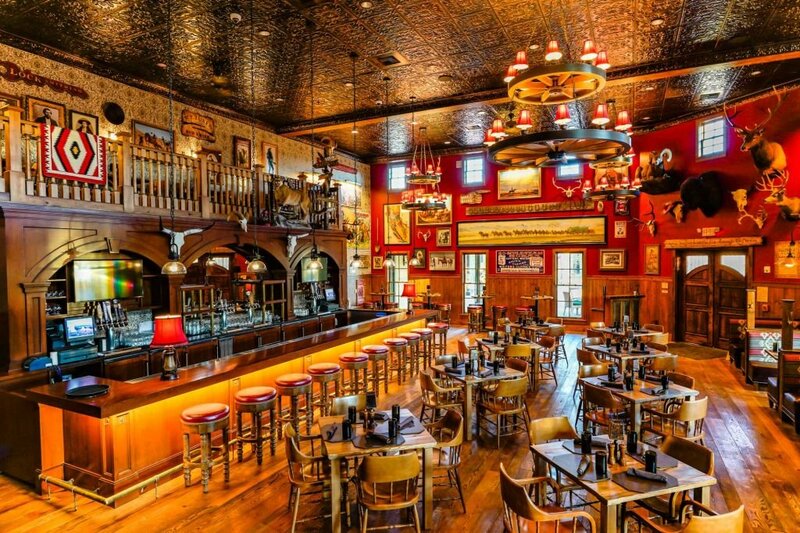 With its historic photos, wagon-wheel chandeliers, and Navajo rugs, the saloon brings alive the world of the Wild West. And while the kids can enjoy their sarsaparilla straight up, the grownups can savor it in such craft cocktails as The Last Kind Word (High West Prairie Bourbon, sweet vermouth, lemon juice, sarsaparilla, and bitters). Just think of it: If you take your family to Badwater Basin, your kids can boast to their friends that they stood at the very bottom of a continent. That’s because at 282 feet below sea level, Badwater is the lowest point in North America. Take a stroll on the boardwalk and out onto the salt flats. Then once you’re back at parking, look high up on the slope on the other side of the road. A sign marks the height of sea level. Let the kids (nine years or older) play cowboy and cowgirl on guided horseback outings with Furnace Creek Stables. 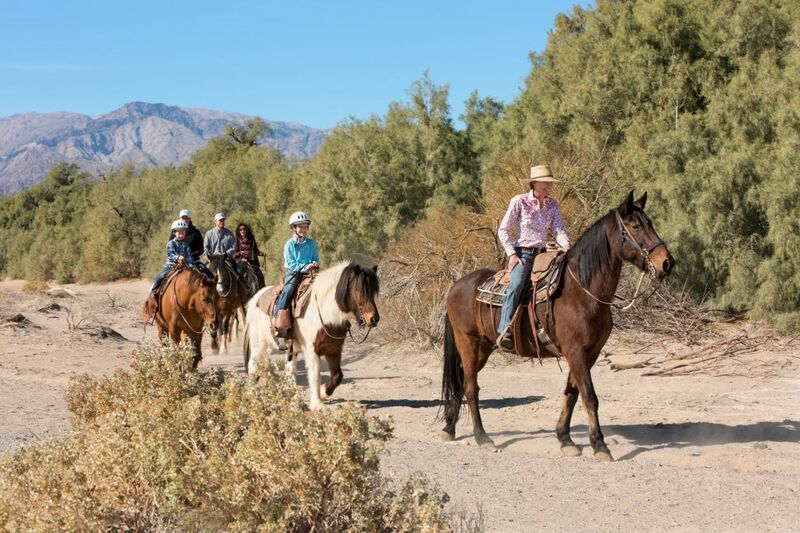 Ideal for riders of all levels, these adventures let your family explore Death Valley the old-fashioned way, whether you head out on a two-hour trip into the foothills of the Funeral Mountains or watch the valley’s colors change with the light on both sunset and moonlight rides. 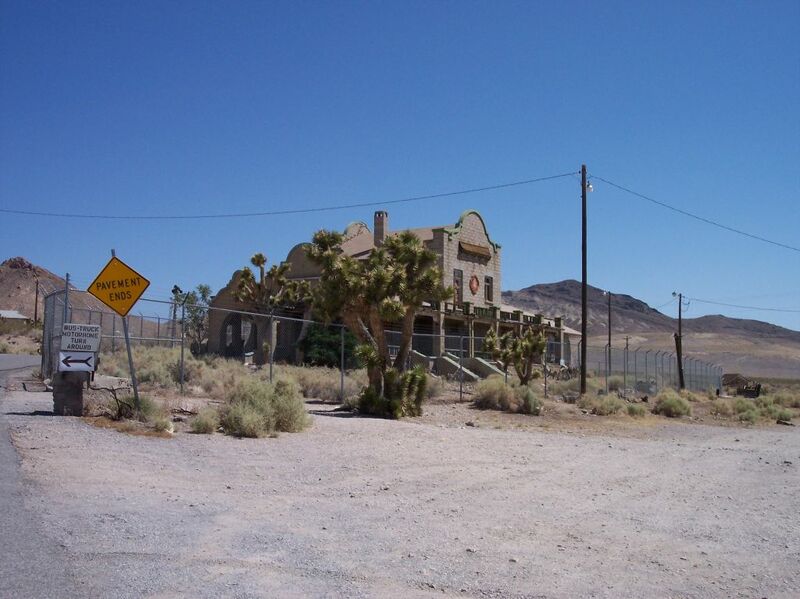 While there are a number of abandoned mining settlements in Death Valley, the area’s most impressive ghost town is just outside the national park at Rhyolite, Nev. About 40 miles from the resort, Rhyolite boomed in the early 1900s with nearby discoveries of gold, and its population peaked at around 10,000 residents. Now you can see such remains from Ryholite’s glory days as the ruins of a stately bank building and even a house made of bottles. Designated a dark sky park by the International Dark-Sky Association, Death Valley is one of country’s best places for stargazing. We guarantee that your children have never seen anything like the cosmic show that Death Valley’s skies put on during clear nights. With pitch-black skies free of light pollution, it’s like having a front-row seat to the universe. To get the most from the experience, join a ranger-led stargazing event or a complimentary Star Party at the ranch with the Las Vegas Astronomical Society. 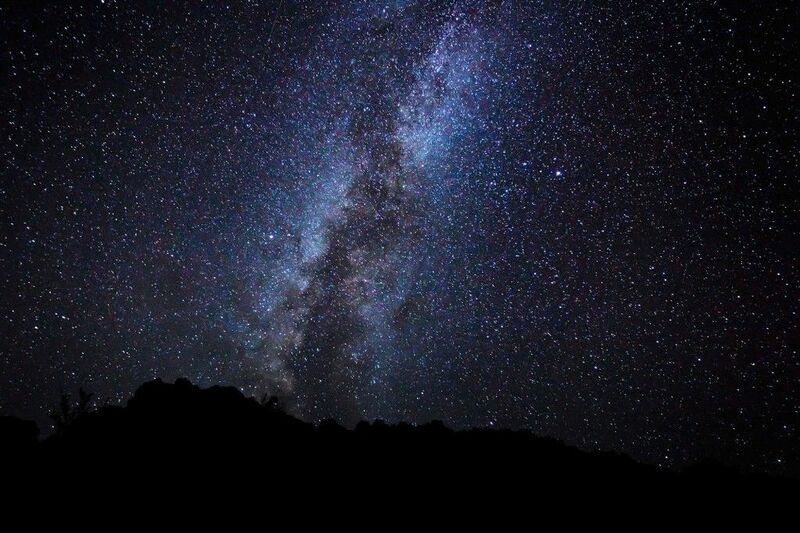 And March 1-3, 2019, you can also attend the Death Valley Dark Sky Festival, which will include hikes and ranger talks by day and stargazing at night. Swim Outside — in the Middle of Winter! Thanks to Death Valley’s well-deserved reputation for sizzling summer temperatures, many people don’t realize just how chilly winter nights can get. But in December, the average low temperature is 38 degrees, while nights in the 30s are also common in January and February. Despite those frigid conditions, you can still go swimming in the pools at the Inn at Death Valley and at the Ranch at Death Valley. 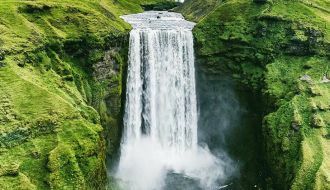 Fed by natural springs, the waters remain positively spa-like — right about 85 degrees. And when you get out of the pool at the inn, you can always stay warm by a roaring blaze in the outdoor fireplace. People have often described Death Valley’s terrain as otherworldly. If you need any proof, just consider that filmmakers used locations around the valley to shoot scenes in three different Star Wars movies, including the original. The Mesquite Flat Sand Dunes was among the sites used for that iconic 1977 film. Granted, it’s not exactly a sprint. Nor are you likely to see any rocks actually move. But at Racetrack Playa in the northern part of the park, a unique phenomenon takes place as boulders, some weighing several hundred pounds, slide across the dry lakebed, leaving long trails in their wakes. For these boulders to kick into gear, it takes exactly the right conditions — when there’s water in the playa, the rocks are encrusted with ice, and the wind blows hard. Because Racetrack Playa is remote and only accessible via rugged roads, your best option for visiting the area is on a tour with Farabee Jeep Rentals & Tours. You don’t travel to the driest spot in North America and expect to see fish. But follow the kid-friendly Salt Creek Interpretive Trail and especially between February and April, you can watch Salt Creek pupfish spawning in the shallow waters. About an inch long, the pupfish may be tiny, but the males will aggressively defend their territories and chase off rivals. Why are they here? The pupfish are survivors from a time when a body of water covered the valley to depths of 600 feet. For all of Death Valley’s remarkable geology, no landmark will captivate your children quite like Ubehebe Crater. After all, who isn’t intrigued by volcanoes, especially one that you can actually hike around? Formed around 2,100 years ago, Ubehebe Crater is 600 feet deep and a 1 ½-mile trail follows the rim, offering views into the depths, as well as 13 smaller craters in the surrounding volcanic field. The Oasis at Death Valley in Furnace Creek is situated in a lush oasis surrounded by the vast and arid desert of Death Valley National Park — just 120 miles northwest of Las Vegas and 275 miles northeast of Los Angeles. The resort encompasses two hotels — the historic AAA Four Diamond, 66-room Inn at Death Valley and the family-oriented, 224-room Ranch at Death Valley. The entire resort has undergone a complete renaissance with an extensive renovation. 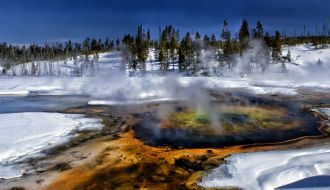 The resort includes natural spring-fed pools, an 18-hole golf course, horse and carriage rides, world-renowned stargazing, and is surrounded by Death Valley National Park’s main attractions. For information and reservations, visit The Oasis at Death Valley or call 800-236-7916. For more ways to access A World of Unforgettable Experiences available from Xanterra Travel Collection and its affiliated properties, visit xanterra.com/stories.